Every sales team has its rock stars. Whether you’re already a rock star, or are working to become one, you’ve no doubt seen the advantages that social selling on LinkedIn can provide. So how do these rock stars separate themselves from the pack? They do a lot of little things right, including social media use. Here are 8 ways star salespeople separate themselves using social selling on LinkedIn. While most traditional resumes scream “me, me, me”, a digitally savvy sales rock star’s resume screams “you, you, you”. Your LinkedIn profile is an opportunity to tell the story of how you help customers, so be sure to highlight your skills and expertise in the context of what your prospective customers will gain as a result. Top sales professionals don’t just skim through a prospect’s profile – they dig deep to gain insight, understanding and access points. They look for common groups, associations, connections, and interests they can leverage to engage the prospect. Top sellers communicate more on LinkedIn. They use the platform to congratulate, recommend, share, search and correspond. They leverage mutual connections and strategically use InMail to connect with valuable 2nd and 3rd degree connections. Client recommendations can add instant credibility. Don’t be afraid to ask for them when they are warranted. Endorsing clients and affiliates can also help you establish yourself as a serious partner who both appreciates and acknowledges good work. Sales professionals recognize the opportunity within LinkedIn’s advanced search capabilities - with the ability to filter by region, industry, title, etc. 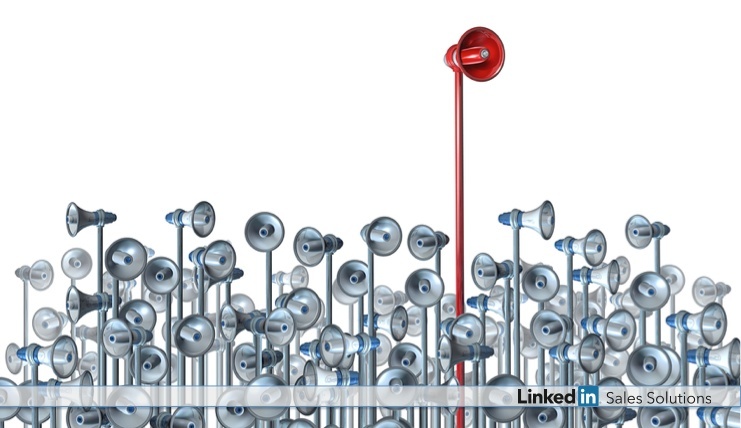 This provides the opportunity to identify highly relevant prospects and can use LinkedIn’s Sales Navigator TeamLink feature to identify all the company-wide network connections to those same selected prospects. 6. They Use "Saved Search"
Salespeople no longer need to reinvent the wheel with prospecting. Instead you can use LinkedIn’s “Saved Search” feature to save various search parameters. You can set up alerts to notify you when new prospects meet your search criteria. You can even get alerts when specific positions are added to the companies you're tracking so you can immediately start building relationships. It helps to connect with prospects on familiar territory and LinkedIn Groups provides just the place. Salespeople can join groups to educate themselves in a particular market and provide insights by creating threads and adding comments to existing conversations. Of course this works best if you are committed to adding value to the discussion. A positive online presence makes attracting qualified leads easier. Posting solutions, answering questions and providing insights via LinkedIn updates is a great way to amplify your expertise and stay top of mind. Engaging with industry groups and curating industry news is another great way to amplify your expertise in a way your prospects can appreciate. LinkedIn is also where top salespeople connect with and deepen relationships with industry influencers. Did you know you can mention specific individuals when posting status updates? Being a rock star salesperson on LinkedIn just takes a little learning and dedication. LinkedIn Sales Solutions can help with the learning part.